X-Men: Days of Future Past (2014) | 'TAIN'T THE MEAT… IT'S THE HUMANITY! “From the beginning, the Sentinels were targeting the X-Men. Then they began targeting everyone”. 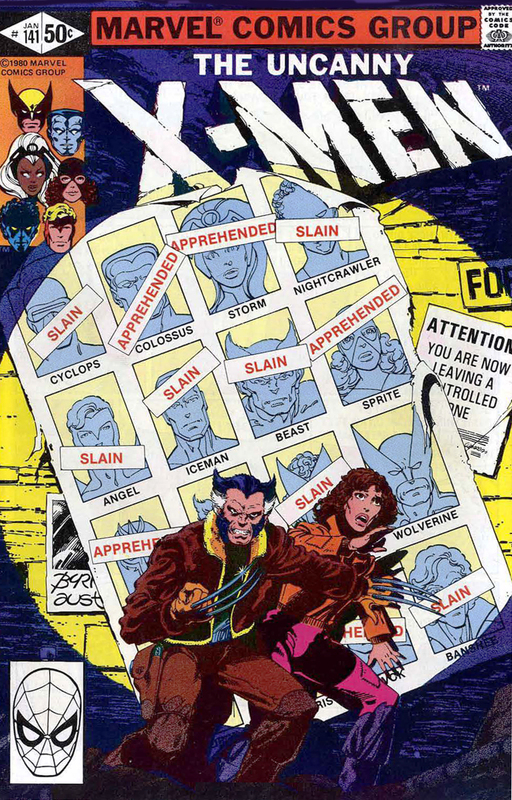 In the late 1970’s you’d have been hard-pressed to find a reader of comic books who wasn’t aware of Chris Claremont and John Byrne‘s ground-breaking run on Marvel Comics’ The Uncanny X-Men. The two helped reinvigorate the failing comic by creating believable and relatable characters who readers genuinely cared for. During the three and a bit years of their partnership Claremont and Byrne created some of the most memorable story-lines to ever see print, as they pitted the X-Men against an array of challenges including arch-foe Magneto, the Savage Land, the Hell-Fire Club and the terrible power of the Dark Phoenix. Artist Byrne quit the title after issue 143 but before leaving he and writer Claremont crafted a two-part story destined to become a classic – Days of Future Past. Originally running in The Uncanny X-Men issues 141 -142 (January – February 1981) the story begins 33 years into the future, in a nightmarish dystopian world where mutants are hunted and slain by giant robots called Sentinels. In this timeline nearly all the world’s superheroes have been killed leaving a small handful of survivors (including Wolverine, Storm, Colossus, and Magneto) with a desperate plan to rescue the world from annihilation – they will save their present by changing the past. Former X-Man Kitty, now Kate, Pryde is sent back in time to halt the event that initiates the calamity, the assassination of a US senator by Mystique and The Brotherhood of Evil Mutants. The story is told simultaneously over two timelines as the ‘present day’ X-Men fight to save the senator while their future selves battle to stay alive. It’s a emotional, and at times harrowing tale that’s all too brief, and therein lies a great deal of its power. If the story was told today most writers would stretch out the story to six issues (knowing Marvel they’d probably turn it into an entire summer crossover event), but instead Claremont and Byrne tell the tale over just two issues, a powerful one-two punch of a story. And a great story it is too, but one that concludes with some uncertainty about whether the heroes have actually saved the future or not. The story was a huge hit with readers and, with the exception of The Dark Phoenix storyline, is probably the most popular X-Men story to ever see print. It’s hardly surprisingly then that 20th Century Fox should tap the story for the latest instalment in their X-Men movie franchise. 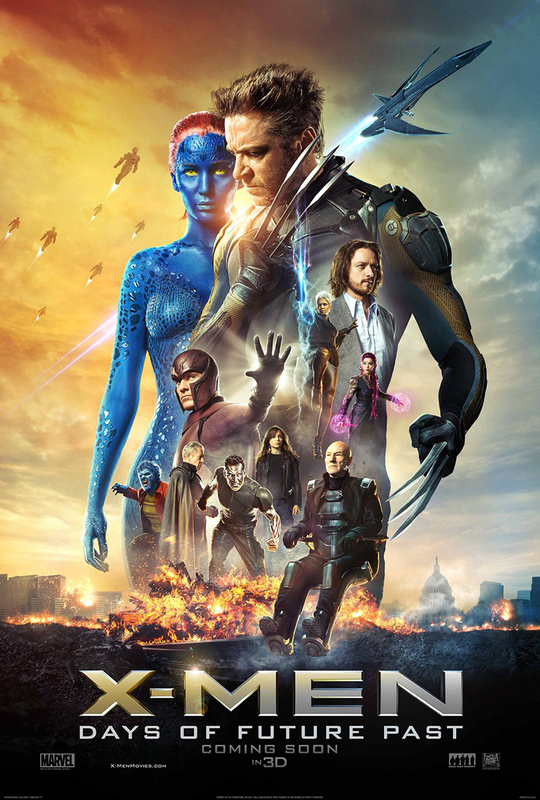 X-Men: Days of Future Past, directed by Bryan Singer who returns to the franchise, deftly combines story elements and characters from X-Men (2000) and X-Men 2 (2003) with their younger counterparts introduced in the franchise’s reboot X-Men: First Class (2011). Some changes from the source material are inevitable: instead of Kitty Pryde it’s Wolverine (Hugh Jackman reprising his most famous role) who travels back in time to stop Jennifer Lawrence’s Mystique from killing weapons designer Bolivar Trask (Game of Thrones‘ Peter Dinklage). Patrick Stewart and James McAvoy play the older and younger Professor X respectively while Ian McKellen and Michael Fassbender both return as Magneto, alongside a large cast of characters from both franchises: Halle Berry (Storm); Nicholas Hoult (Beast); Shawn Ashmore (Iceman) and Daniel Cudmore (Colossus). And in a large dose of fan-service the film also finds room for a whole plethora of characters familiar to readers of the comic: Bishop; Blink; Sunspot; Warpath and Quicksilver amongst others. Singer kicks off the film off as he intends to continue with an breath-taking action set-piece that pits the remnants of the future X-Men against the near-indestructible Sentinels (the sequence with Blink opening and closing portals with dizzying speed is terrific). Singer then builds on this solid opening to create a story that encompasses both timelines leading up to an immensely satisfying finale featuring enough property damage to make Roland Emmerich stand up and cheer. Director Singer and writer Simon Kinberg keep the story and the action flowing at breakneck speed – believe me, X-Men: Days of Future Past is a whole lot of film. Not since Christopher Nolan’s The Dark Knight (2008) has a superhero film dared to pack so much into its runtime and with so much confidence. Granted some of the more subtler plot points may lost on non-comic readers (Quicksilver being Magneto’s son for example), but there’s still plenty here to enjoy. For Singer this is a triumphant return to form from the director of the lacklustre Valkyrie and the woeful Jack The Giant Slayer. Singer’s direction is assured, audacious and supremely confident – the sequence with Quicksilver in the Pentagon kitchen (superspeed wedgie! ), for example, shows a director not only at the peak of his skills but one who is clearly enjoying himself. But the strength of the film doesn’t just lie with the action elements – Singer never loses focus on the quieter, more character driven scenes. The interaction between the younger incarnations of Professor X and Magneto, showing their regret over a friendship turned sour carry real emotional weight, as do those involving McAvoy and Lawrence. There are also some deft cinematic touches – I particularly like the occasional use of 16mm film to give the movie that real ’70s feel. X-Men: Days of Future Past neatly ties together plot threads from the previous five films, and does so with such confidence you could be forgiven for thinking that Singer and Kinberg had always planned it that way. The pair also give the film an ending that provides the sense of closure that’s missing from the original comic book, and one that neatly undoes the damage done by Brett Ratner’s dreadful X-Men: The Last Stand from 2006. Released on 23rd May 2014 the film has proved a smash at the box-office netting over half a billion dollars in worldwide tickets sales in less than two weeks, an amount that is sure to increase. It’s hardly surprising then that another X-Men film has already been green-lit, with both both Singer and Kinberg returning to adapt another reader-favourite storyline from the comics, X-Men: Apocalypse (watch out for the teaser at the very end of the film). X-Men may be one of the oldest of the superhero movie franchises but it shows no sign of growing tired or stale. By weaving together all five films not only has Bryan Singer created a hugely entertaining and thoughtful movie, he has also strengthened the franchise and given the cinematic X-Men a mythology almost as rich and as detailed as its decade-spanning comic book source. That, I suspect, will prove to be the real triumph of X-Men: Days of Future Past.